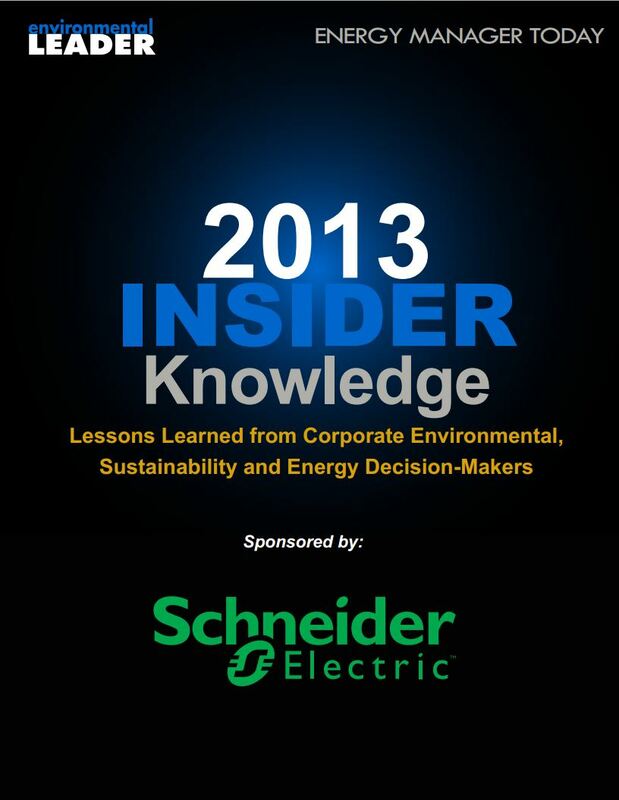 SweetRush is happy to share that we have been featured in the Environmental Leader 2013 Insider Knowledge Report. The report features short stories of lessons learned from 120 corporate sustainability leaders — from large brands such as Anheuser-Busch, Nokia, and General Motors — to smaller businesses such as us! Our story is in the Strategy & Leadership section as an example of launching a corporate social responsibility (CSR) program in a smaller B2B company. We’ve reprinted our submission below, but you can also check it and other stories out by downloading the full report HERE. Good Things come in all sizes. Many CSR success stories come from large, public companies and focus on their energy savings or employee engagement stories. Less often do you hear success stories from the little guys: the smaller B2B vendors who also care about doing good in their businesses, but who have fewer resources and no public pressure. SweetRush is one such company, and we have succeeded by turning our existing skills toward CSR projects. We hope that the story of the birth of our sustainability initiative helps inspire other small businesses to find their own ways to do good things for people, planet, and profit. The Birth of Good Things. Five years ago, while working at an environmental NGO, I (Brooking) met Andrei Hedstrom, CEO of a small, private, learning and training company. With a new baby girl in his life, Andrei became deeply concerned about the future of her planet. When we met, he was a keen student of sustainability, and had started scoping ways to green his own business. We stayed in touch after this professional encounter, chatting periodically about sustainability and business management. One day, he called me for a chat, and a new clarity emerged in the conversation: it was time. SweetRush was ready for its sustainability transformation. Andrei hired me to guide this transformation of the organization’s identity in November 2011. A year later, SweetRush had a healthy baby of its own: the Good Things Initiative (GTI). Four factors stand out as contributing to the successful implementation of SweetRush’s new program in 2012. 1) SweetRush is no stranger to change. The company began in 2001 with a focus on B2B marketing, and has evolved to become a leading vendor for custom content, project management, and consulting services in the e-learning industry. During the recession, we went completely virtual to save on office expenses. Our employees adapted so well that we’ve stayed virtual by popular demand! 2) Alignment with existing company culture. Before our recent rebrand, “We Care” was the SweetRush tagline. This culture of caring — for each other, clients, and community — was a deep part of SweetRush culture. Bringing in a sustainability program was easy to sell as an extension of this existing ethos. 3) CEO leadership. Andrei’s passion and the respect he holds amongst employees were crucial for acceptance of this new strategic direction. Andrei had been planting seeds for years toward a green future for SweetRush, and most of our employees’ eco-education came directly from his evangelism. 4) Alignment with business strategy. By fall of 2011, when we began pushing this initiative, most of our Fortune 500 target clients had sustainability programs in place — key for our B2B strategy. Research showed a gap in effective implementation of these programs, however — especially for employee engagement and supplier sustainability standards — and none of our competitors had acted on this gap. Even for skeptics, the case was clear for applying our expertise to clients’ sustainability programs as means of market differentiation and diversification. So indeed, it was time: with SweetRush poised to expand its public face and differentiate itself, adding a stronger focus on both internal sustainability and client-facing corporate responsibility services simply made good business sense. On the ground and running. a. We shared content on sustainability, and CSR basics and initiative details, through internal educational memos and team conversations. b. A special volunteering day, upgrading a schoolyard in Costa Rica, was a key team-bonding and momentum-building event for the initiative. a. We built a new public identity, first with Facebook and LinkedIn, then brochures, and finally launching a beautiful new website, brand, and blog in late 2012.
b. The result: a more than 400 percent increase in website hits since our Facebook launch! a. Ensuring leadership and resource commitment, particularly in marketing and business development. b. GTI helps us test new technical skills through pro bono projects (such as a free, online, sustainability game coming in summer of 2013!). c. A success story: We won a bid on a major client project because our CSR commitment differentiated us from the pack. The GTI is a win-win-win: for us strategically and ethically, for our clients who get more impact from their CSR input, and for the people and planet who benefit. Good Things indeed!